ROFest Trends 2019 is on! 12-14 April, at AMC River East 21 in Chicago. After our successful 1st edition in 2018, we are happy to embrace once again the chance to meet with film enthusiasts, industry professionals, students, professors, guest speakers and many others who enjoy socializing in a distinct setting. Authentic Romanian stories combined with exclusive debates. What a treat! We are an association of professionals from various fields, such as strategic communication, film studies, and management. Our aim is to promote Romania’s culture, traditions, and values. We have an extensive experience in film studies, creative production, and event management. We use this experience in order to boost the popularity of Romania’s cultural products abroad. Together with our partners in the USA and Romania we want to raise the awareness of the American public over the Romanian film, considered as one of the most successful creative experiments in Europe. 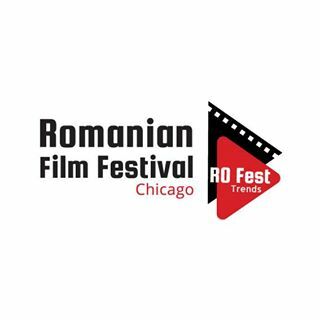 The ROFest.Trends Film Festival aims to bring to Chicago the newest trends in the Romanian short and feature fiction, praised internationally for their intricate stories and robust characters. Our public will have the chance to watch some of the most acclaimed Romanian movies, while interacting with their producers and actors. This film festival has two colateral goals. Firstly, to feature stories that expose the many facets of Romania – starting from the historical perspective, going through the social one, and ending with current concerns and personal struggles. The second goals is to facilitate the dialogue between various cultures, and, more precisely, between the American and the Romanian ones. The Romanian movie has developed its own style, bridging the gap between past, present, and future, and creating a new type of symbolism focused on the „story within the story”. In its quest for modernization, Romania is struggling to internalize the ”Western way”, while still being anchored in its own „savoire-faire”. This unique pattern gives birth to original stories – beautifully captured in the films featuring the ROFest.Trends film festival. Despite their complex topics, movies presented in our festival are captivating and open to interpretations. Since the Romanian film has become a strong national brand that exposes emblematic phenomena about Romanians’ lives, families, politics, education, values, and traditions, our festival also constitutes an excellent opportunity to celebrate the 100th anniversary of Romania as an independent state.